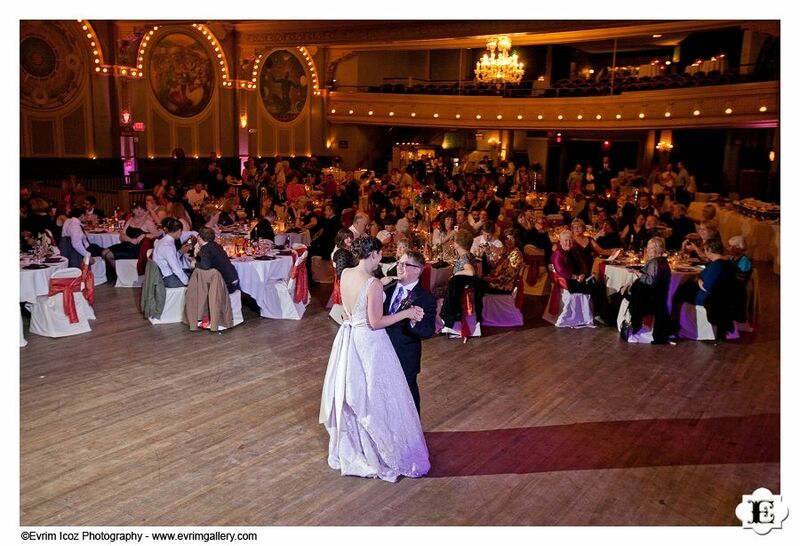 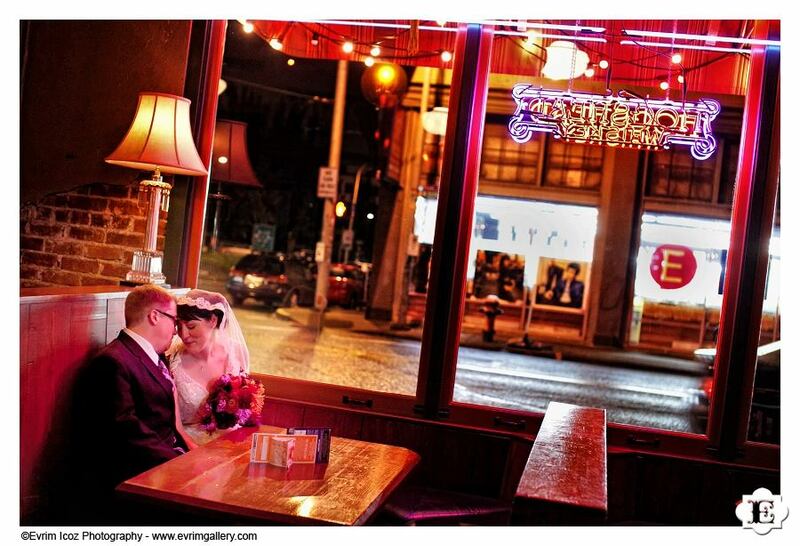 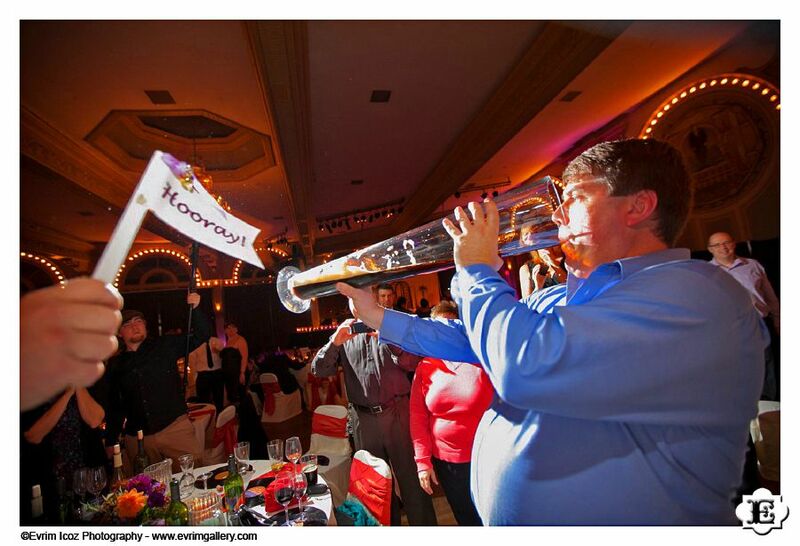 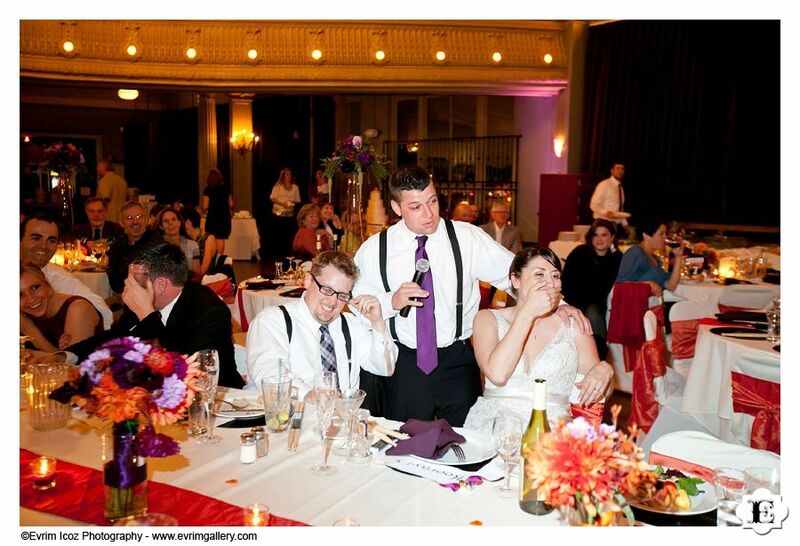 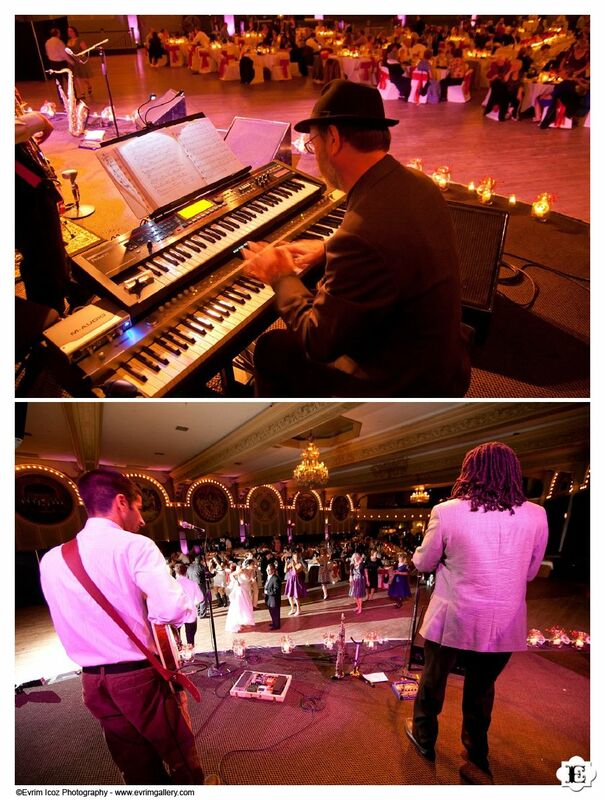 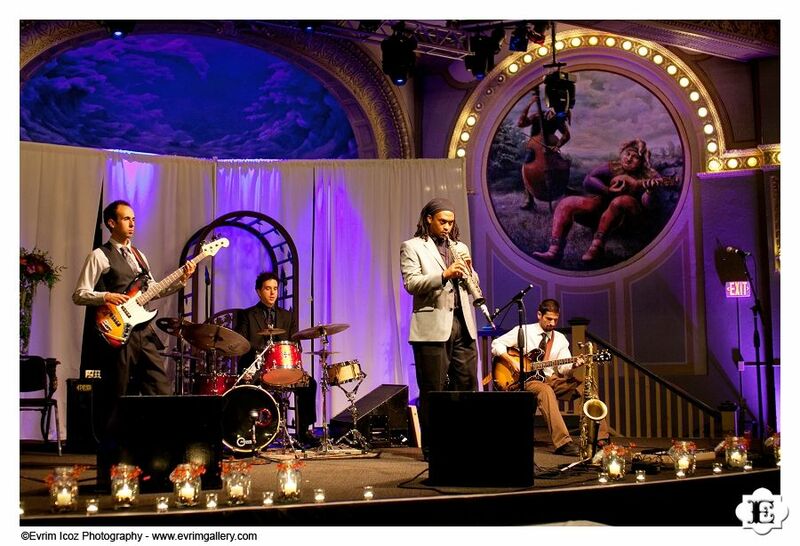 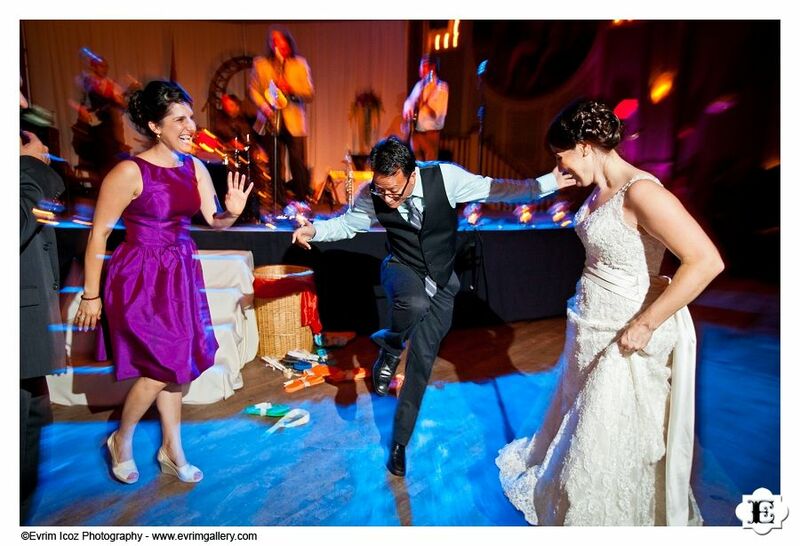 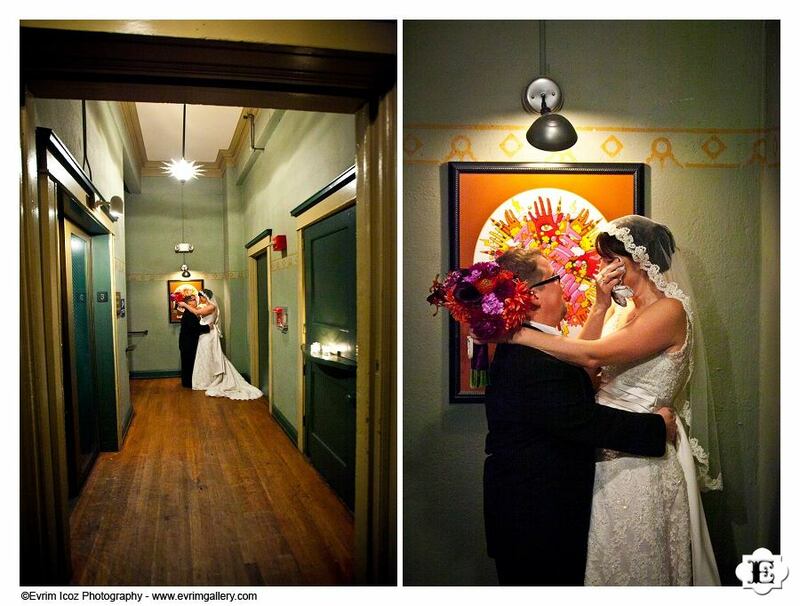 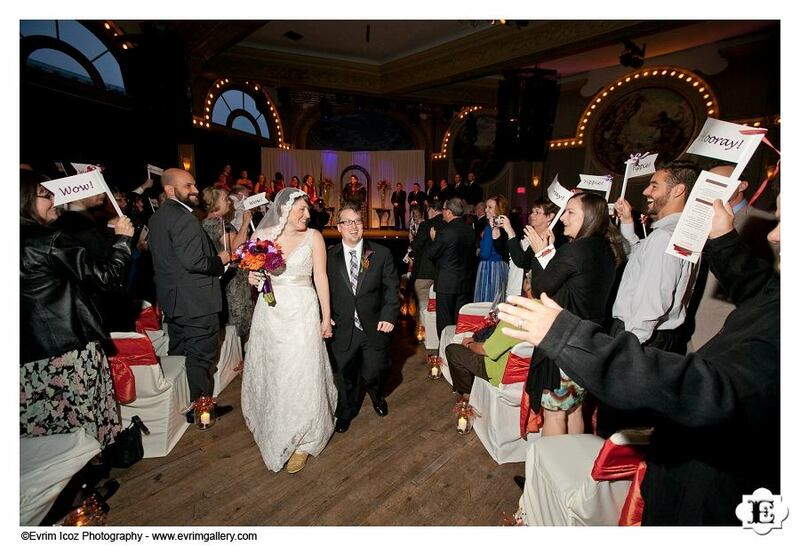 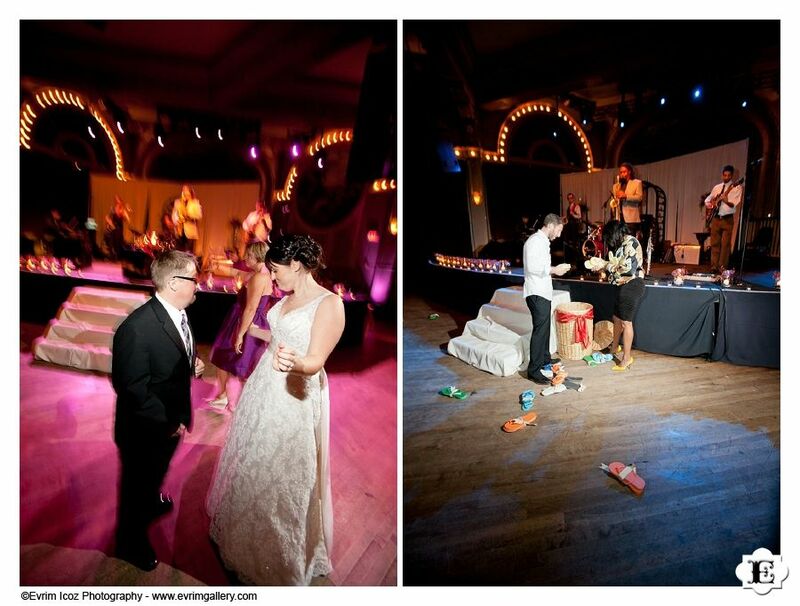 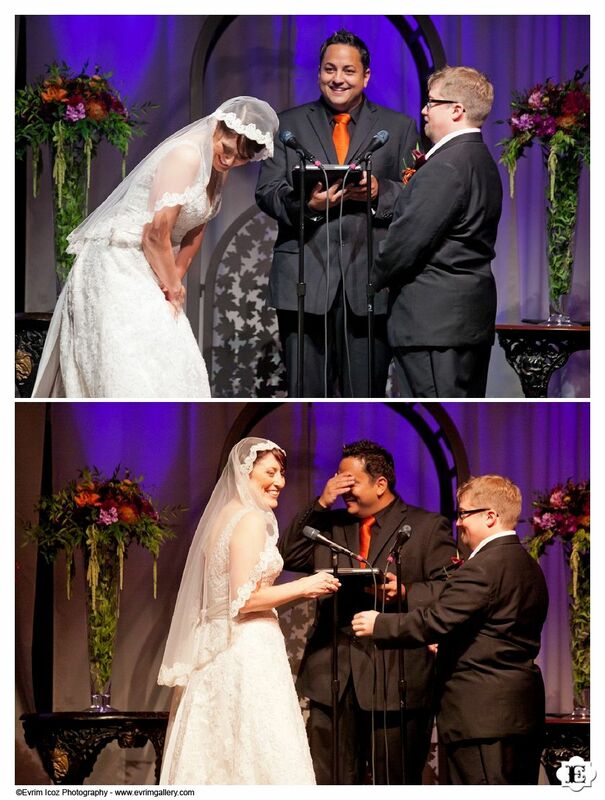 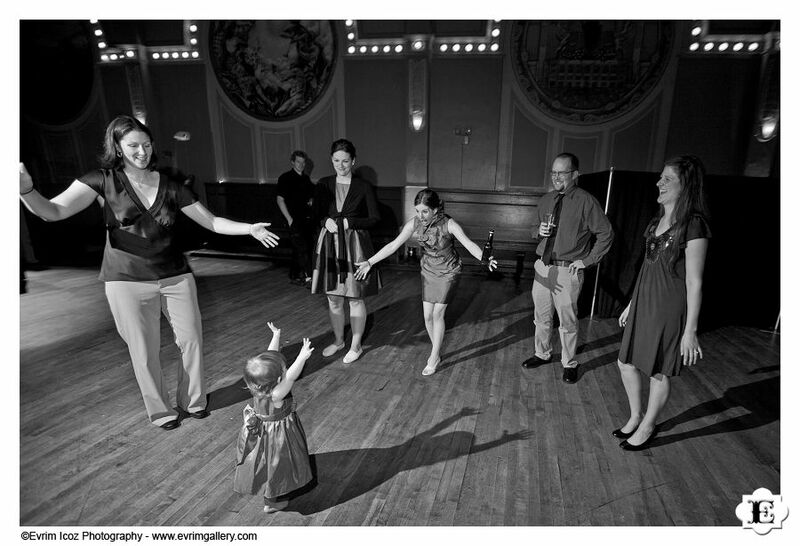 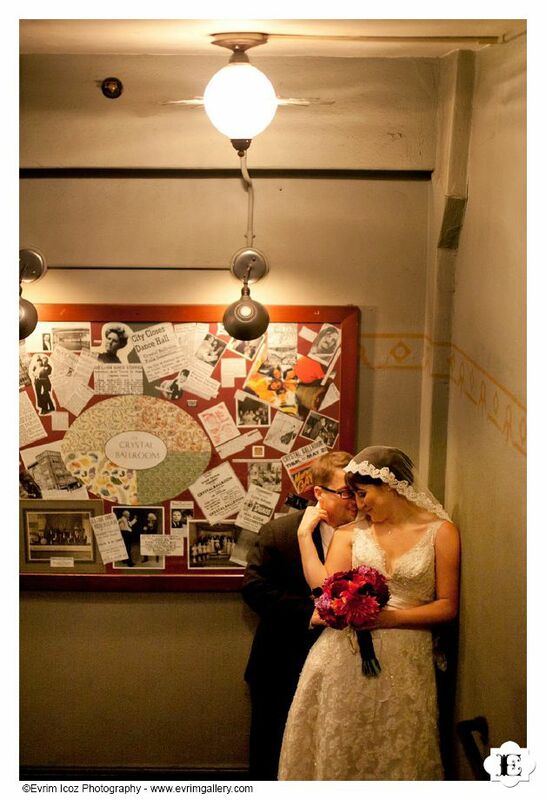 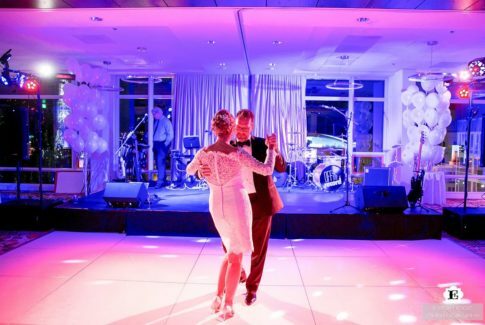 Nicole and Sean’s wedding at Portland Crystal Ballroom was a lot about music. 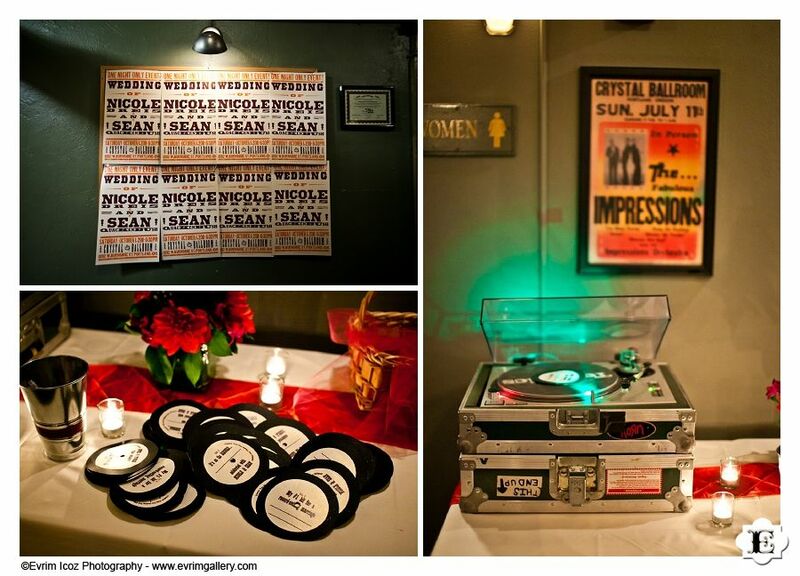 Sean is a sound engineer and they due to music, as such, music is a big part of their life. 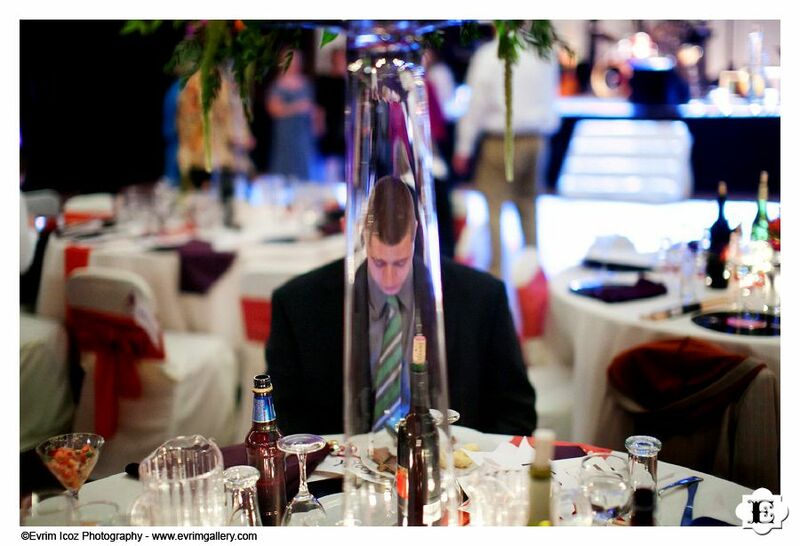 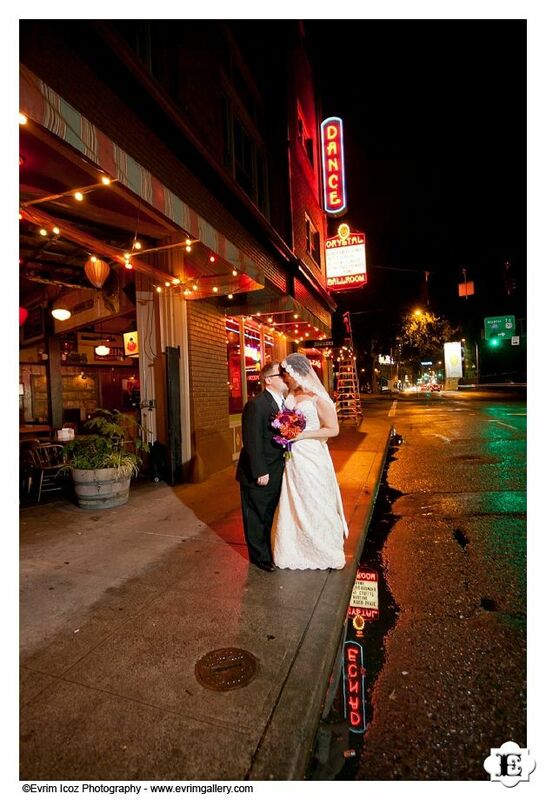 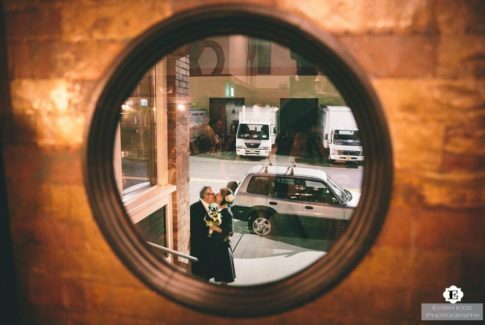 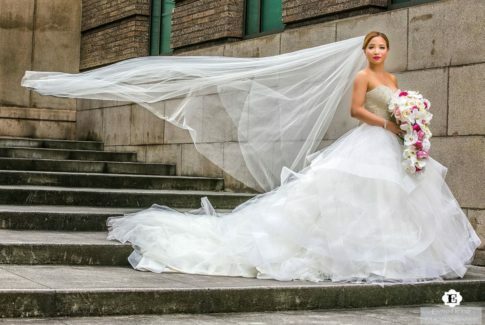 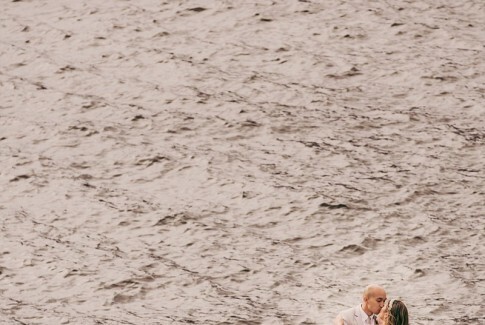 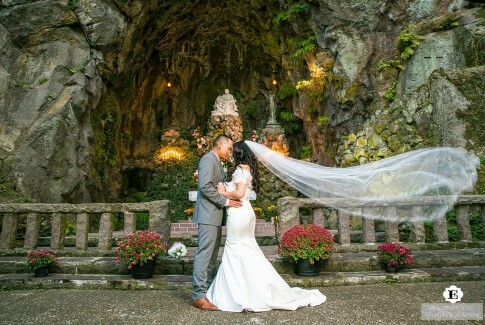 Their wedding reflected that! 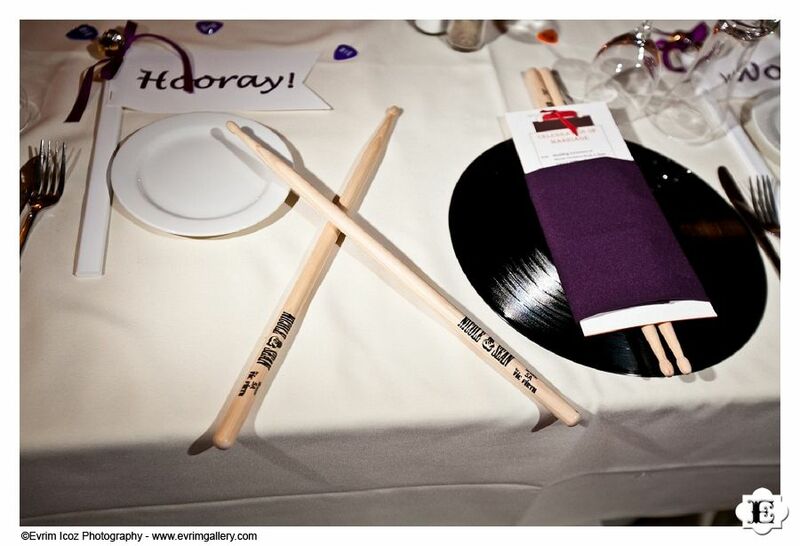 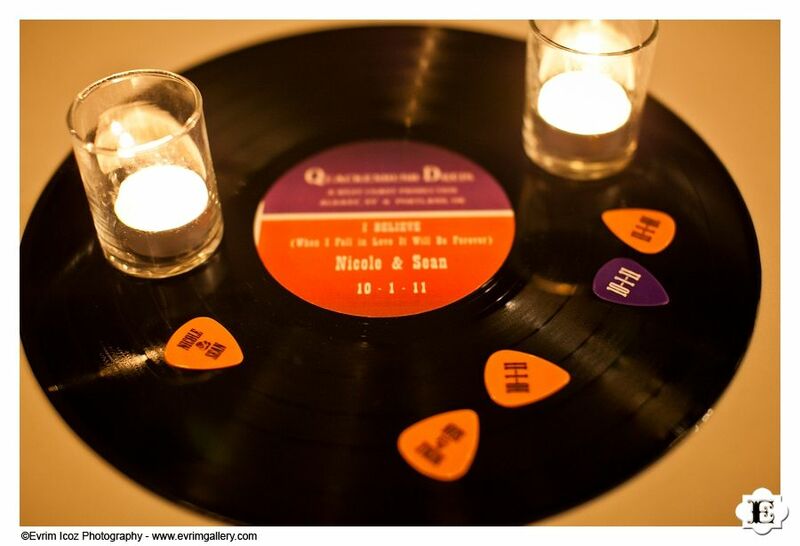 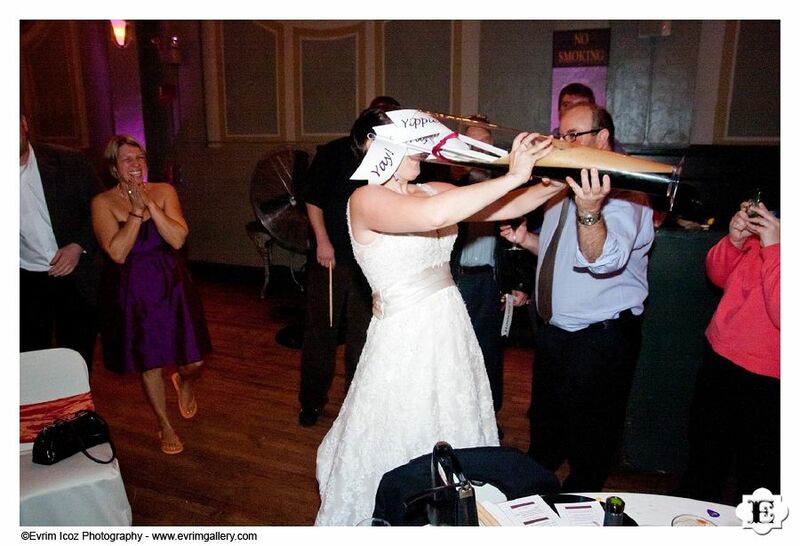 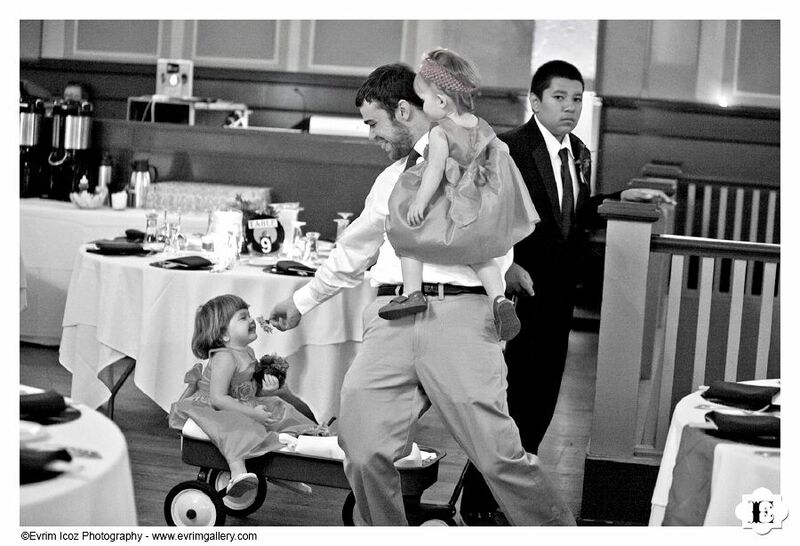 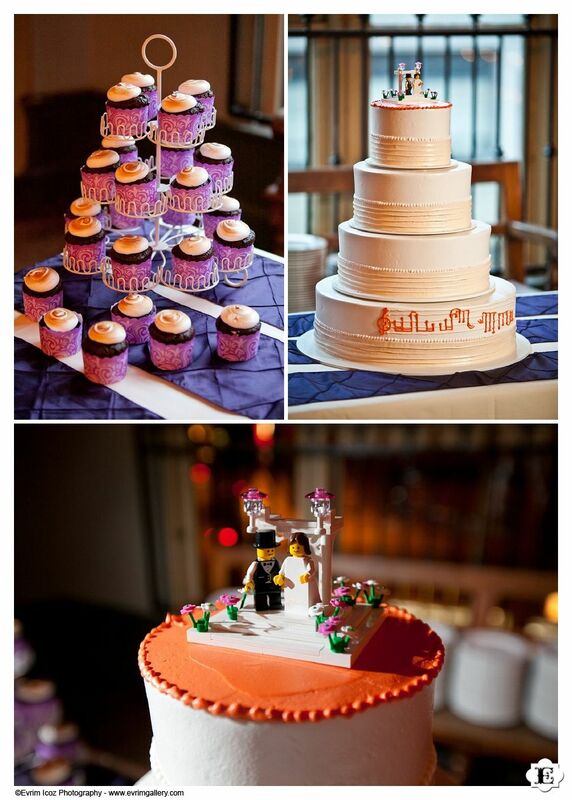 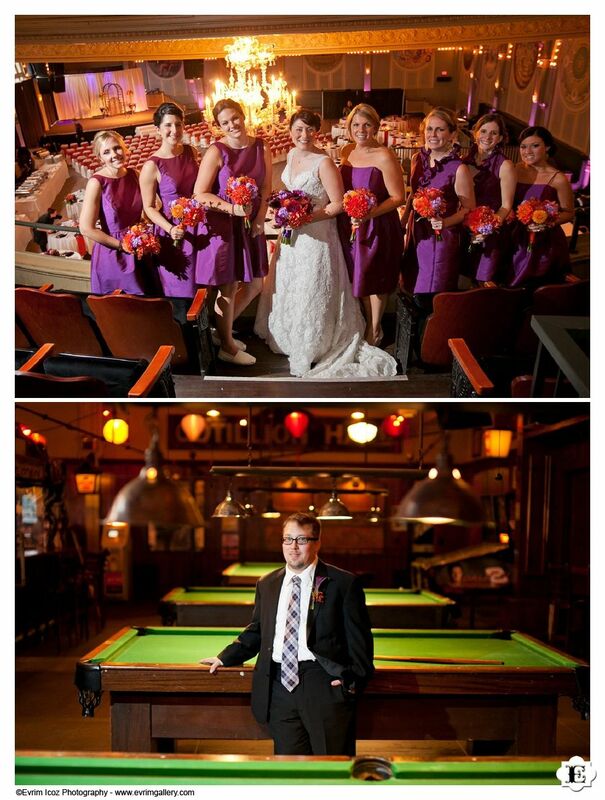 They had records as place mats, music posters printed for their wedding, and custom drum sticks as favors. 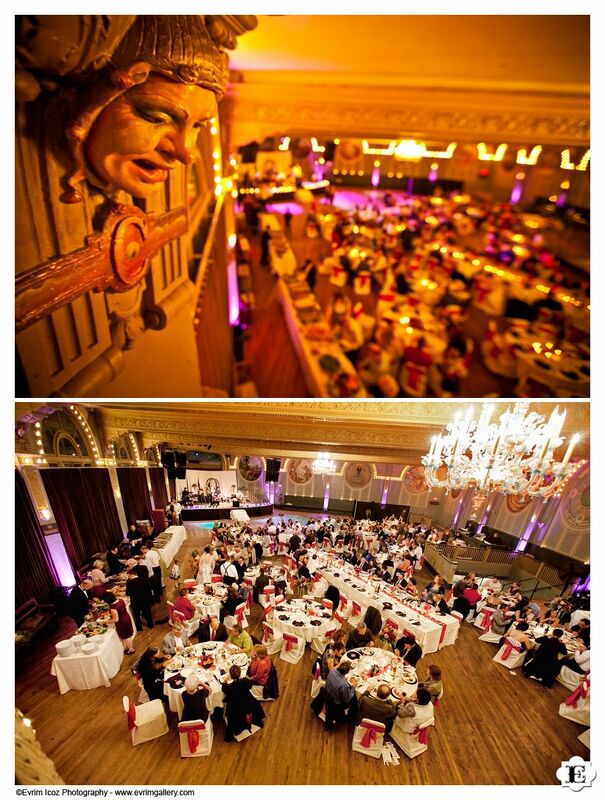 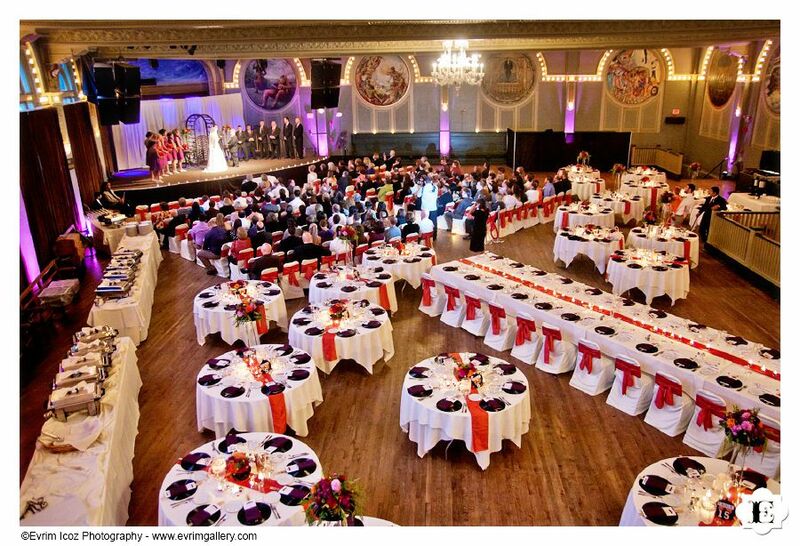 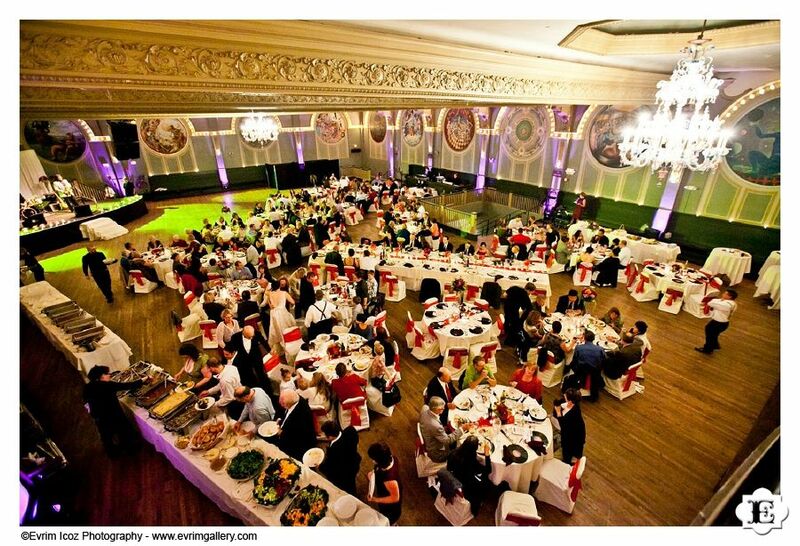 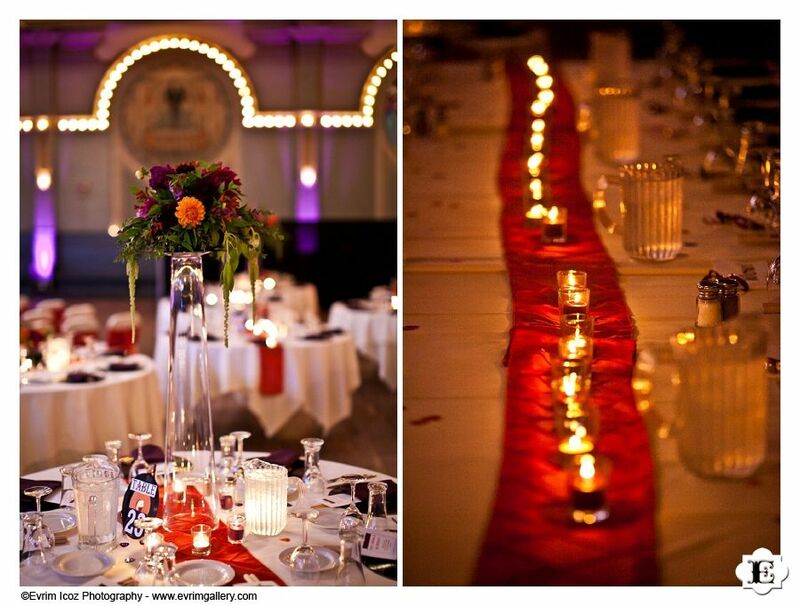 Crystal Ballroom is a really fun venue and I love shooting there. 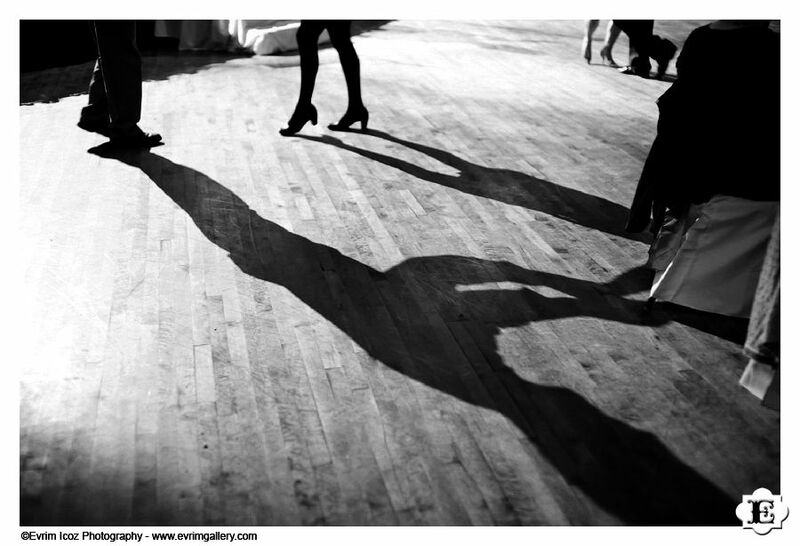 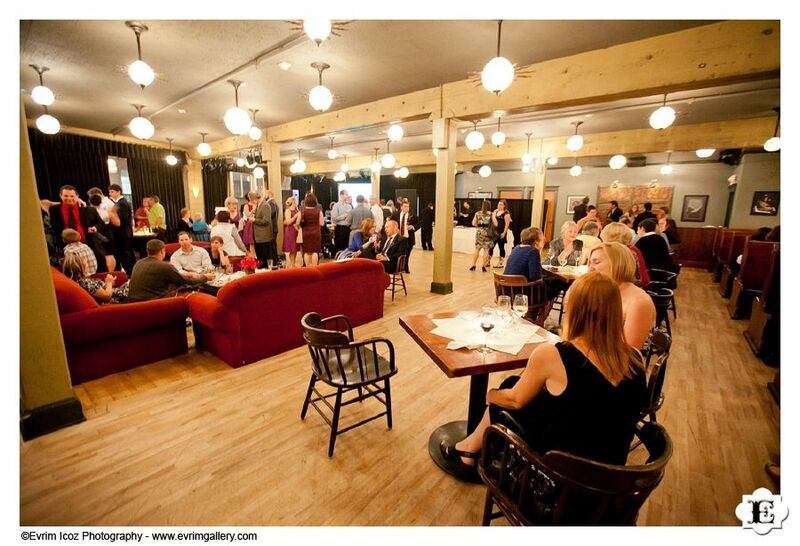 Lots of architecture, great floor and a positive energy.